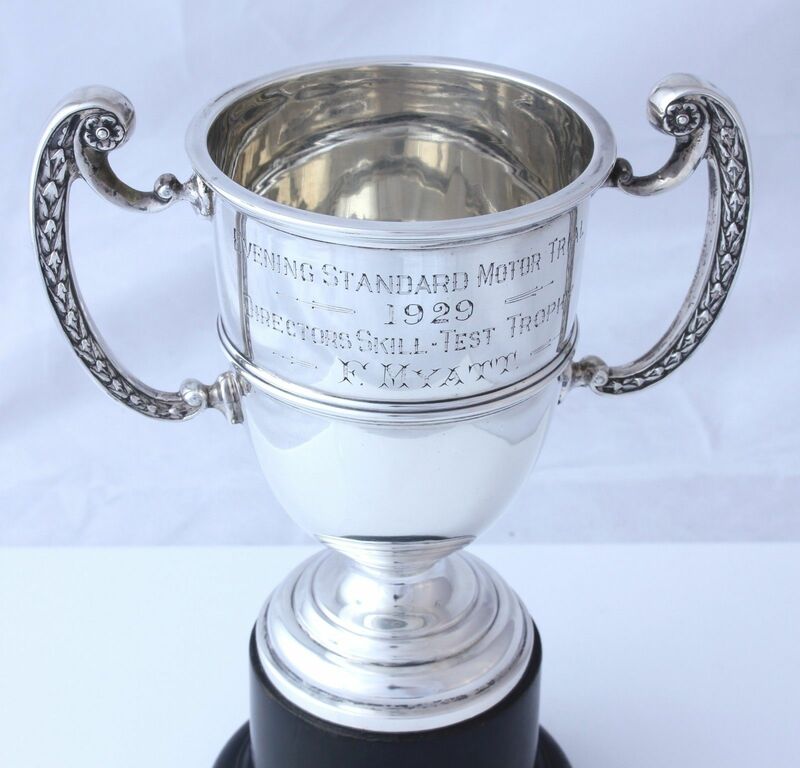 This nice antique silver motor sports trophy cup dates from 1928 and has decorative handles. 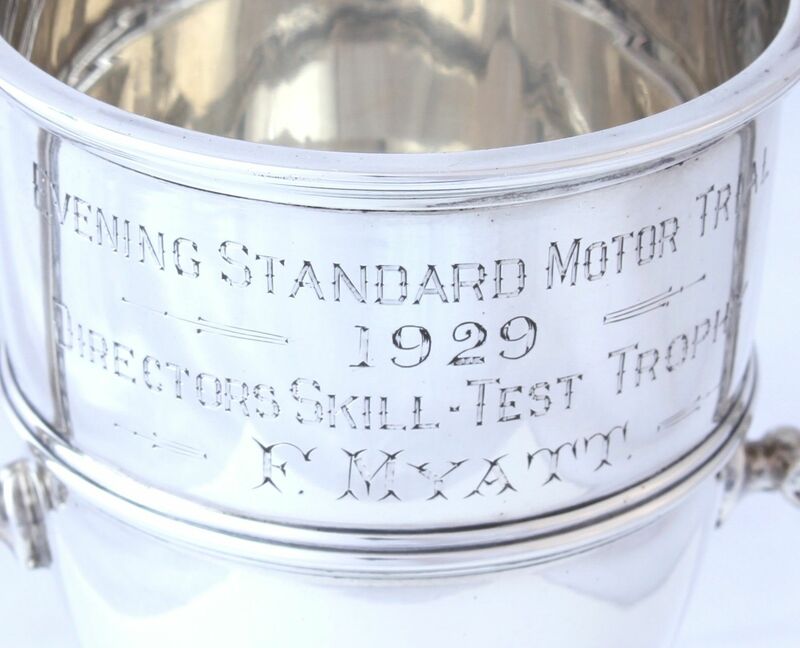 It's interesting inscription reads Evening Standard Motor Trial 1929. Directors Skilltest Trophy. F. Myatt. 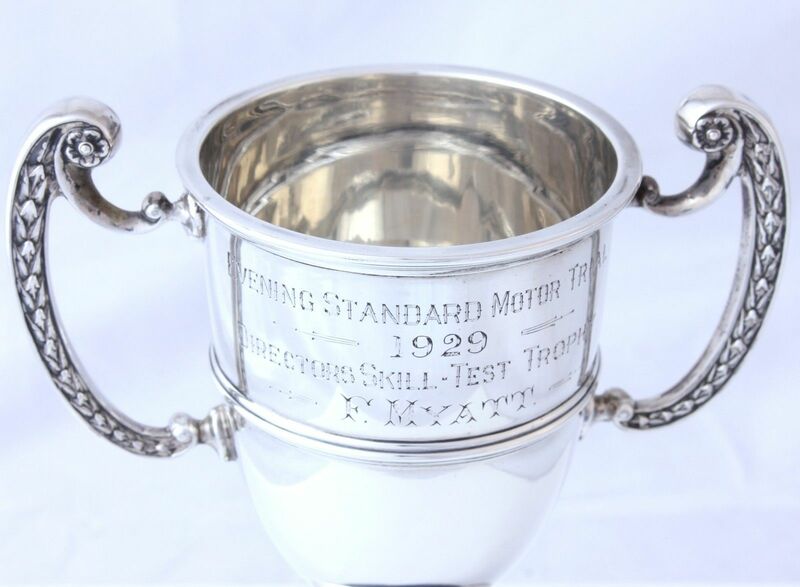 This very nice cup would make a unique collectors piece for a motor sports fan or silver collector. 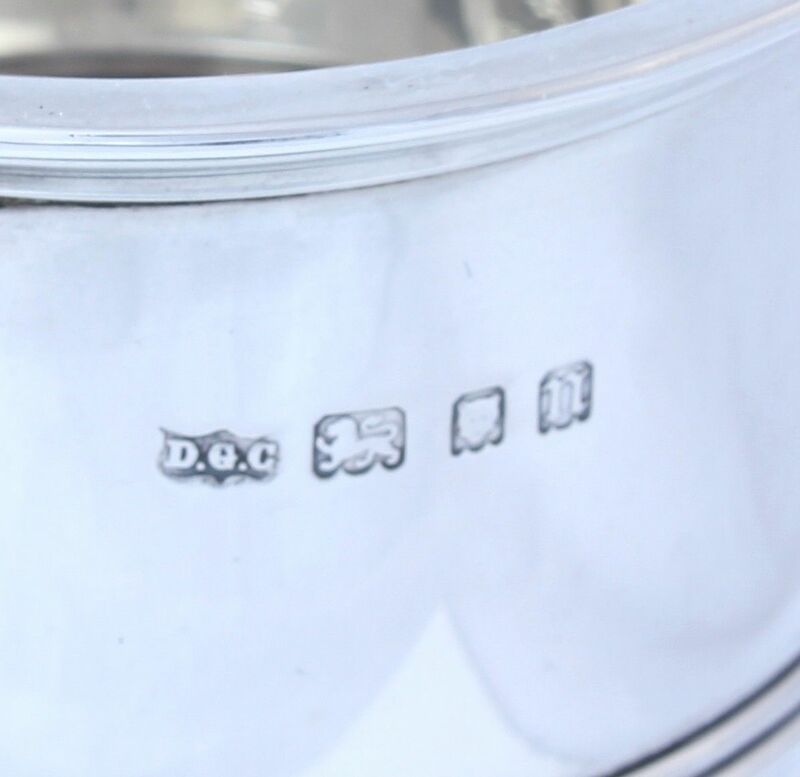 Hallmarks: Lion for sterling silver. London. Date letter n for 1928. Maker's mark DGC. 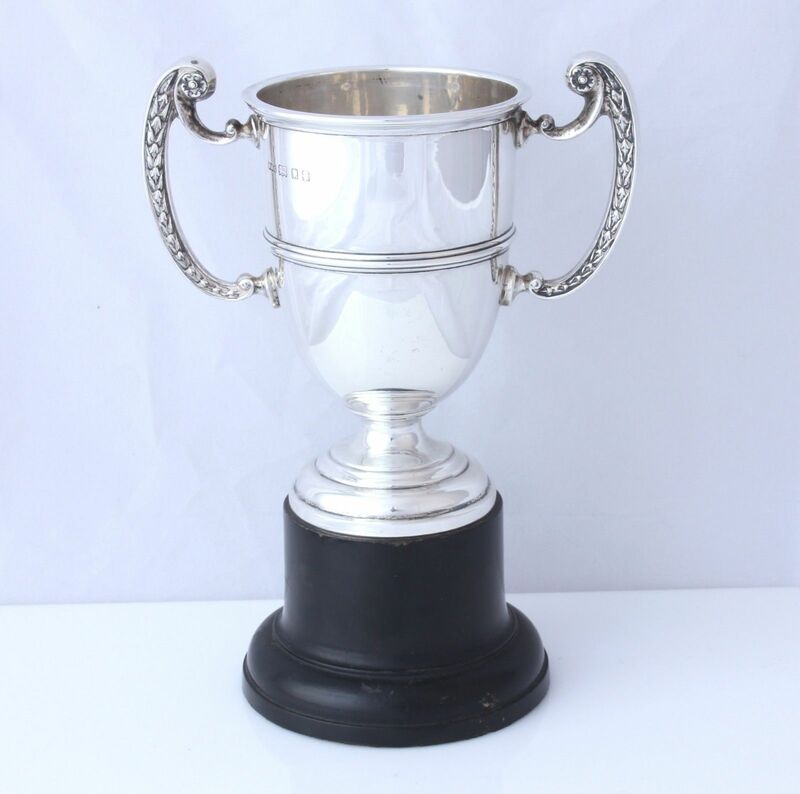 Height including handles: 12 cm (4 3/4") approx. Not including base. Width at handles: 13 cm (5 1/4") approx. Height including base: 17.5 cm (7") approx. 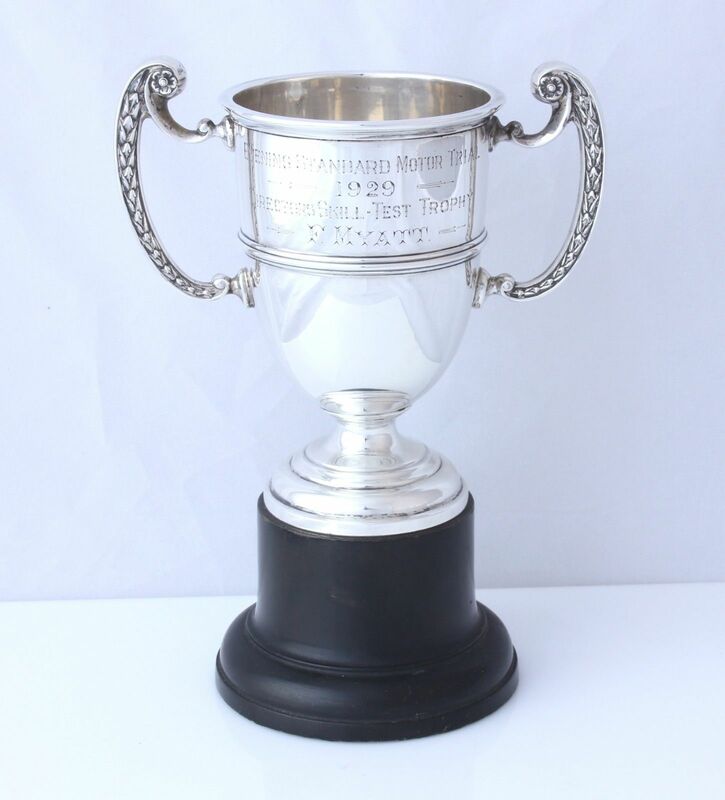 Weight of silver trophy: 127 grams approx. Condition: Excellent antique condition with only very light signs of use in keeping with age. A few very light marks and couple of minute dings. Nice clear hallmarks. Please see pictures.